Bobby Greenlease was the six-year-old son of Kansas City millionaire Robert Cosgrove Greenlease, 71, who had made his money importing General Motors vehicles to the Great Plains. At 10.55am on an autumn day in 1953 Bobby was kidnapped from his exclusive prep school. A woman had visited the boy’s school claiming to be his aunt and told Sister Morand that his mother had had a heart attack. At 6pm that day a ransom note was sent to the Greenlease home with a demand for $600,000 in $10 and $20 notes. 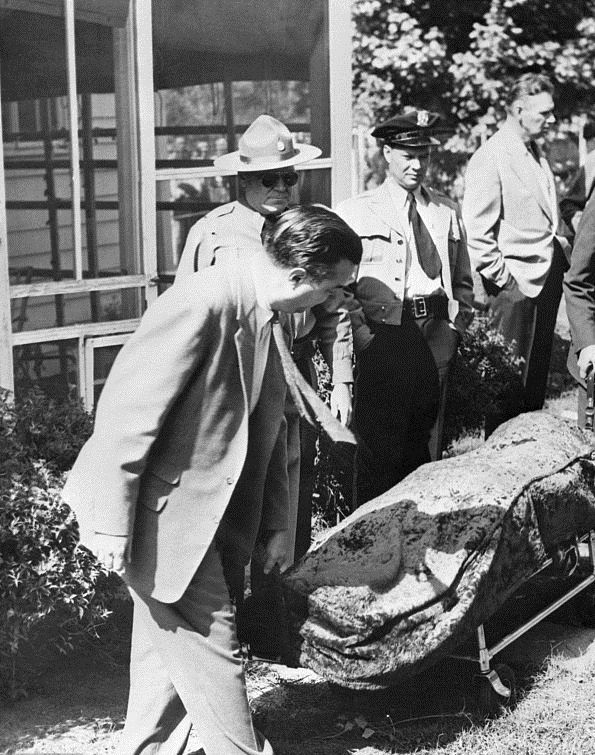 The money — at the time the largest ransom demand in US history —was to be put into a duffel bag and left in a ditch between Kansas City and St Joseph, Missouri. On 4 October the drop was made and the family waited for the safe return of Bobby. Under the terms of the Lindbergh Law the FBI could not become involved until seven days after the payment of the ransom and the Greelease family had asked Kansas City police to keep out of the matter. The police in St Louis observed no such caution and on 6 October raided the Town House Hotel after a tip-off at from a taxi driver about a man who was spending vast sums of money. They arrested 37-year-old drug addict Carl Austin Hall who had a gun with three missing bullets and $250,000 in cash on him. Hall was the son of a successful lawyer and had wasted a $200,000 inheritance before turning to crime. He confessed to the kidnapping and to murder: “Bobby was struggling and kicking so I took my revolver and fired at close range.” Hall had buried Bobby near the porch of his house at 1201 South 38th Street in St Joseph, Missouri. Bobby’s corpse was found at 8.40am on 7 October. Hall also gave up his partner, 41-year-old alcoholic, Bonnie Brown Heady, the widow of a bank robber. The couple were charged with federal kidnap after confessing that they had carried Bobby across state lines. Hall and Heady were charged on 30 October and pleaded guilty. On 19 November both were sentenced to death. Neither of their lawyers appealed and the pair died together in the gas chamber of the Jefferson City State Penitentiary on 18 December 1953. They sat side by side and were allowed to hold hands for a moment kiss goodbye. She said, “Are you doing all right, honey?” He said, “Yes, mama.” He was pronounced dead at 12.12am and she 20 seconds later. Bonnie Heady is the only woman executed in America for kidnapping. Only half of the ransom was ever found and it is believed that corrupt members of the St Louis police department kept the rest. Two were charged but the money was never found.